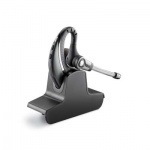 With one-touch call answer/end, vol /-, mute and flash, manage calls from any connected device up to 350 feet from the charging base. 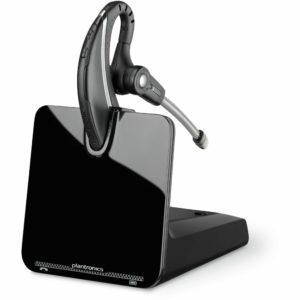 Automatically routes mobile calls to the mobile phone or headset – whichever device is within easy reach. 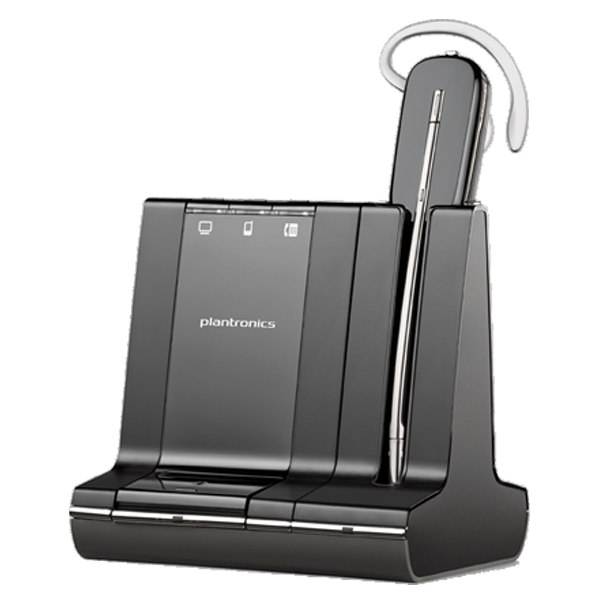 Transfer audio between headset and mobile phone with a press of a button so you can leave the office and take the mobile call with you. 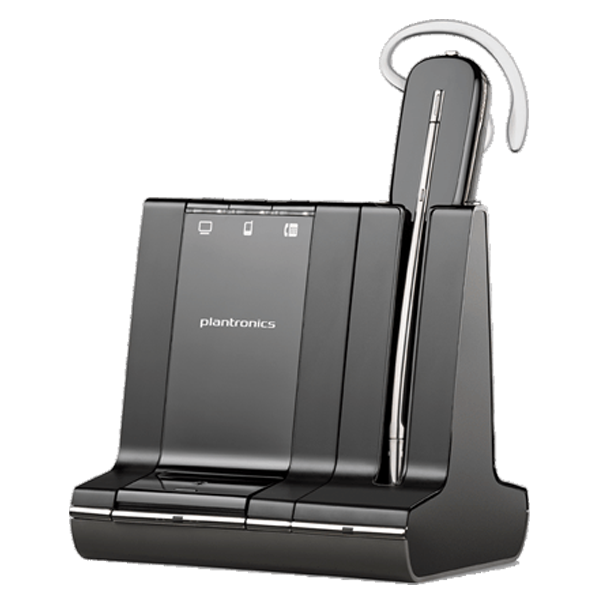 A premium addition to the Savi W700 series, Plantronics Savi W740 is a convertible headset. 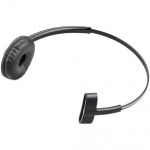 With three wearing styles and a crisp sound in audio reception and delivery, this headset is all you need for professional communication needs. 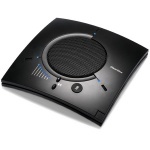 Ideal For: Professionals who use a mix of PC, mobile and desk phone communications while in the office for conference calls, webinars, video conferencing and listening to multimedia. 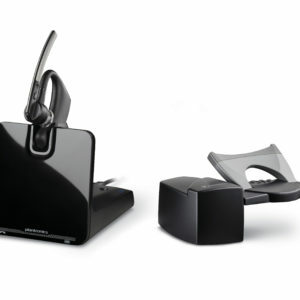 The HL10 completes your wireless headset system by allowing you to answer a call or hang up remotely. 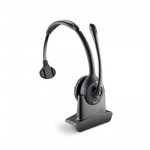 Designed to work with most single line and multi button telephones. 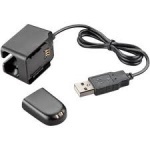 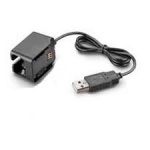 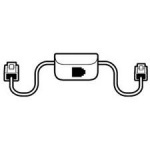 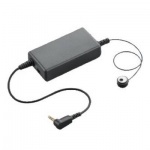 Plantronics Savi Universal Power Adapter 81423-01Plantronics universal power adapter plus attachments for other countries.Plantronics universal power adapter for for Savi, Savi Office, and CS500 series wireless headsets. 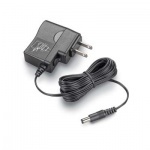 Also includes attachments for other countries. 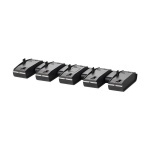 5 Unit Charging Bank for Plantronics Savi wireless headset systems.5 Unit Charging Bank for Plantronics Savi wireless headset systems. 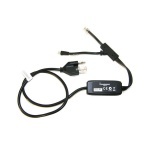 Plantronics Savi Online Indicator Straight Plug 80287-01Online indicator for Savi/CS 500 Series wireless headsets. 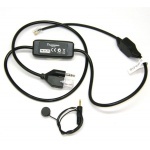 Lets others know when you’re on the phone. 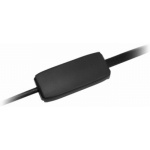 Plantronics Spare “Savi” Telephone Interface Cable. 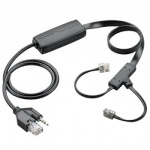 86009-01The Plantronics 86009-01 is the Savi spare telephone interface cable that works with all Savi series wireless headsets. 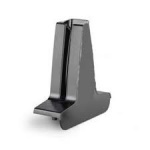 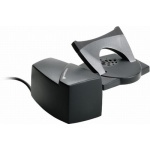 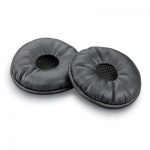 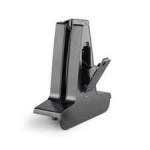 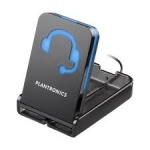 Plantronics Deluxe Charging Cradle (Savi) 84600-01Spare deluxe charging cradle (base) for the Savi W440, W740 & WH500. 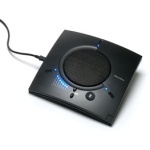 Does Not Work With SAVI Office! 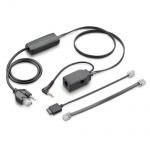 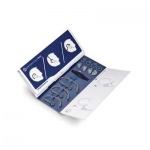 Plantronics Deluxe Charging Kit (Savi) 84601-01Spare Base Deluxe Charging Kit for the Savi W440, W740 & WH500. 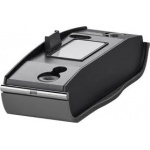 Includes base deluxe charging cradle and spare battery. 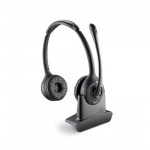 Savi 82905-11 Over-the-Ear headset with Black CradleThe Plantronics Savi 82905-11 contains a Savi 730 Over-the-Ear headset with a black charging cradle. 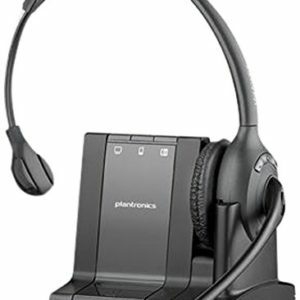 Plantronics Savi W720 replacement/spare headset and charging cradle for the Plantronics Savi wireless headset system. 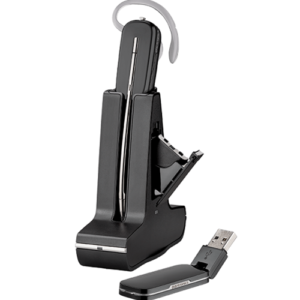 MONAURAL, Savi over-the-head headset with direct 6.0 and black cradle.The Plantronics Savi 83323-11 contains a Savi Monaural over-the-head headset with direct 6.0 and a black charging cradle. 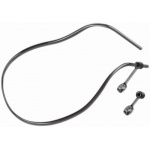 “Over-the-Head” headband assembly for Savi W400, W700 & WH500 series wireless headsets.”Over-the-Head” headband assembly for Savi W400, W700 & WH500 series wireless headsets. 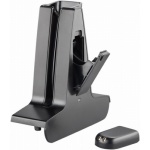 Plantronics Savi WH500 replacement/spare headset and charger cradle.Plantronics Savi WH500 replacement/spare headset and charger cradle for the Plantronics Savi wireless headset system. 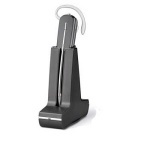 This is the spare headset or if you lost or broke your Plantronics Savi headset.